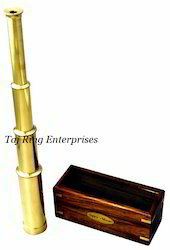 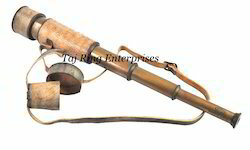 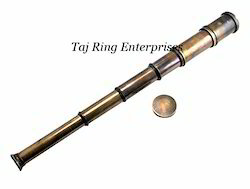 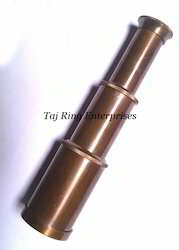 We are one of the leading Manufacturer & Exporter of Brass Telescope such as Stand Telescope, Plastic Brass Telescope, Brass Ladar Telescope, Sade Pipe Antic Brass, Simple Brass, Antic Brass Dakan and many more items from India. 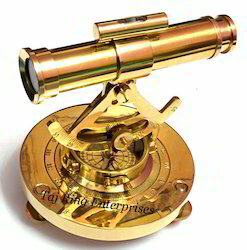 This product has good magnification and serves the purpose of both functional Telescope as well as for Decoration/collectibles.This Nautical Brass Telescope comes with awesome styleIts beautiful Polish Finish TelescopeMade Of Full Brass Telescope. 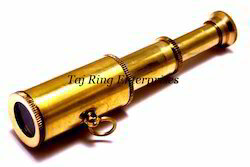 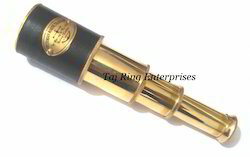 This product has good magnification and serves the purpose of both functional Telescope as well as for Decoration/collectibles.This Nautical Brass Telescope comes with awesome styleIts beautiful Finish TelescopeMade Of Full Brass Telescope. 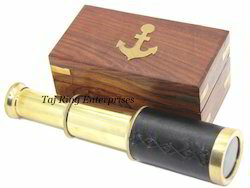 Finishing;- Black Antique With Red Leather SheathedThis product has good magnification and serves the purpose of both functional Telescope as well as for Decoration/collectibles.This Nautical Brass Telescope comes with awesome styleIts beautiful Polish Finish TelescopeMade Of Full Brass Telescope. 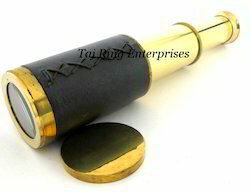 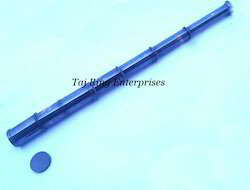 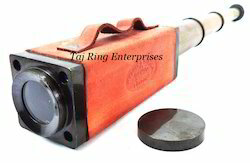 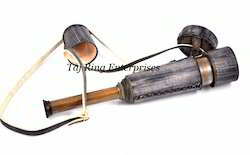 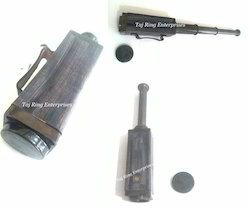 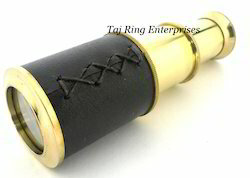 Telescope Length:- 9" , Compass Dia:- 1.5" & Base:-3 "
descending screws and All work is hand made. 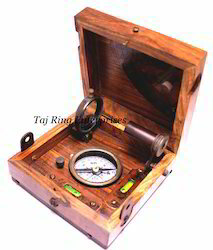 Its Best Gift For Collectors Marine & Maritime Alidade. 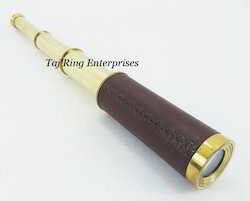 This product has good magnification and serves the purpose of both functional Telescope as well as for Decoration/collectibles.This Nautical Brass Telescope comes with awesome style Its beautiful Finish Telescope Made Of Full Brass Telescope. 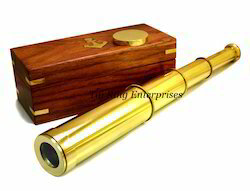 This product has good magnification and serves the purpose of both functional Telescope as well as for Decoration/collectibles.This Nautical Brass Telescope comes with awesome style Its beautiful Finish TelescopeMade Of Full Brass Telescope. 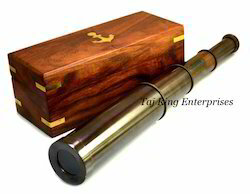 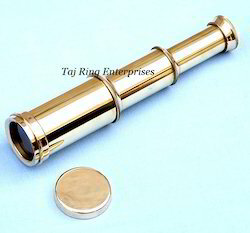 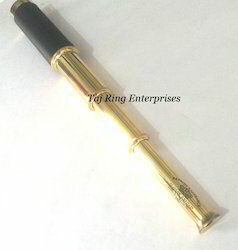 This product has good magnification and serves the purpose of both functional Telescope as well as for Decoration/collectibles.This Nautical Brass Telescope comes with awesome style It's beautiful Finish Telescope Made Of Full Brass Telescope.Its Comes With more Sizes Depend Your Requirement .